Anyone looking for a block plane based strictly on performance need not read any further. There are any number of tools that will do pretty much as well as this one minus the heart attack price, including my standby for the last 30 years, the Stanley 9 1/2. For it’s mostly the iron inside and the angle and sharpness you give to it that does the work. Once you’re set, you’re set. Having said that, there are some marvelous features to this tool that make it shine well above and beyond its rather slick polish. I have a lot of blades for the 9 1/2; – HSS, carbide tipped for laminates, Hock, Lee Valley premium and regular old high carbon steel. Sharpened out to, I don’t know, 6400000 grit, I’ve enjoyed polished work and great results, all depending on the angle and my focus of course. The NX60 moves it up a few notches though with some interesting features. The Norris adjustment mechanism is a real treat, for with its micro dial in on angle and projection and its virtual lack of backlash you can concentrate on your work instead of on your balky plane. The ergonomic shape is a comfortable pleasure in your hand and the rigidity in the blade and cover cap reduces chatter to a conspiratorial whisper. Funny thing, Lee Valley has a real bee in its bonnet about the dangers of a projecting toe for mouth adjustment (can’t say it’s been a problem in all my years) but I do appreciate the fine settings possible and the side control screws for lateral alignment. A couple of caveats to this dream tool however. This plane is heavy. I mean really. The cap assembly alone weighs as much as a cheap plane. Now mostly it’ll be on your work and so not an issue, but if you pick it up to chamfer edges and you have dry skin, hold on tight. The longitudinal grooves help but you’ll need an overly firm grip to keep it off the floor. The other problem is that as supplied it is really only useful for end-grain work or on very tame with the grain planing. I purchased the optional O1 blade and ground it high to 38 degrees, giving a York pitch (50) for regular work. You will often experience massive tear-out otherwise with that 37 degree angle. 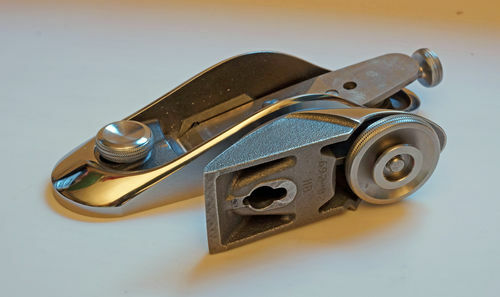 It is worth considering that you may raise the angle by swapping blades on a low angle tool to do this but you can not lower the angle on a general purpose block plane. End grain work will never be as good. One unsung beauty to this tool is the ability to quickly slacken off the cap pressure a bit to change projection and angle. The huge control knob allows you easy adjustment and tactile positive force. 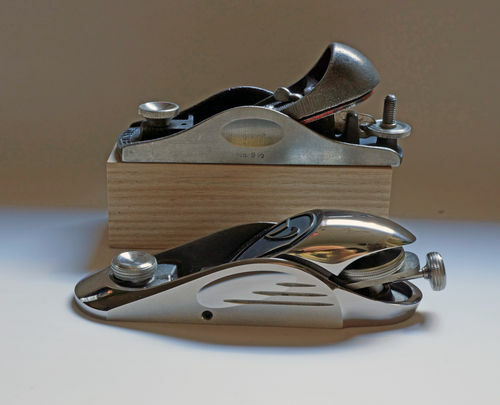 With an ordinary block plane you are tempted to just work against the screw pressure as you don’t want to pull out a screwdriver every time you make an adjustment, and thus you eventually ruin the teeth that engage the blade notches. Another interesting thing to mention is how you do not use your best square to check things out here. If their specs are to be believed, you are checking your square. Fun stuff that. When this tool came out, I remarked to anyone within earshot that there would have to be two blue moons in the sky before I paid $300 for a block plane. I had my 60th birthday last week and as I was ruefully reflecting on the 10 more years before the mast needed to serve before retirement I started to wonder about the funny weather we’ve been having lately and isn’t it interesting how the lunar cycles affect us these days. That and how nice it is has to have real beauty in your hand as you do your necessary work in the trenches. Highly recommended. Thanks for the review, I saw one of these at the woodworking show last year. Impressive, and I like the looks, but I bet it is polarizing to most. Fancy stuff, kind of spendy, but what quality tools arent? I had a hard time too with the looks, the other way, but now they’re tied for first with the function. Spendy, for sure. Wise choice Gene. That’s a fine block plane, may it serve you well for years. I’ve had mine for over a year and I haven’t yet left the honeymoon phase. One thing I don’t think you touched on is the rust free metal. I barely wipe mine down and it is just as shiny and perfect as when I bought it. I got my brother the DX 60 with the ductile iron. He likes the slight patina that the ductile iron can get, as he works as a finish carpenter so doesn’t have time to wipe it down after every use. I on the other hand, like a nice shiny tool so the extra $100 for the nickel steel is well spent. If any Veritas people are out there listening, start your planning to use the nickel steel in other planes, I WILL BUY THEM! rockindavan: I don’t doubt that they will use more of the nickel steel in their promised premium line though I shudder to think of the price on the larger planes. But I can’t see any possible improvement otherwise over the existing models. I have the low angle jack and the coffin smoother in my kit (with three different irons) as well as this one and the performance is perfect. Up until last week I was using the jack as the world’s largest block plane because of the great grip possible with it. As you mention though, the corrosion proof metal would be a boon to any one who likes their tools to always look good as well as to those with with acidic skin oil. I have seen other guys tools with visibly etched fingerprints on them because of that. The fit and finish IMHO is worth the extra $. But I have NOT purchased one. Thanks for the review. I am a huge fan of Veritas tools. Thanks for your review Gene. I was curious about these planes, and hadn’t read any reviews on them. 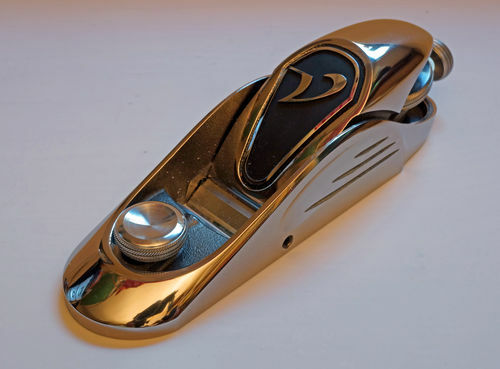 I took advantage of Lee Valley’s recent free postage deal, and bought a Veritas standard block plane with an O1 blade to supplement my two Stanley block planes. Absolutely first-rate build quality, and really heavy. 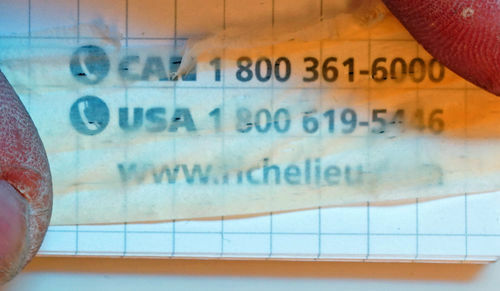 They also include detailed instructions on the setup and adjustment of the plane, which a newbee like me appreciated. I haven’t had a chance to hone the blade yet, as I am waiting for a set of Norton waterstones to arrive. These appear to be the kind of tools your kids will fight over when you’re dead! I wouldn’t be surprised if the nickel steel is 200 maybe 300 more than the standard ductile steel in a jack or bigger plane. Hopefully they can reduce the cost once they run enough production to offset the manufacturing cost. Either way they are on to something with their premium line. Thanks for this outstanding review! I do not doubt its quality and it definitely looks like a Ferrari parked alongside your lowly Stanley. However, to my eyes, it is probably the single ugliest tool I’ve ever seen in my life. To each his own, right? I like how you mention at the top that there are a lot of different reasons for buying a tool. I won’t be buying this one but that’s one impressive shaving. Thanks again for this comprehensive review. I think Veritas is going Steam Punk….and I like the looks of it. Have yet to learn how to use a plane right, so I won’t be buying one soon, but for the ART aspects of it. I love the looks. Bertha: It may be misshapen to some, true, but I have never felt anything better in my hand. Anytime you gain focus with a tool it disappears pretty much, though never to its proud ma and pa. They love an ugly face. I think it took some nerve to design and sell this tool, and I think it’ll have its fair share of lovers. Do you have a fave block? Happy birthday!! All of us over 60 deserve a full Veritas collection.